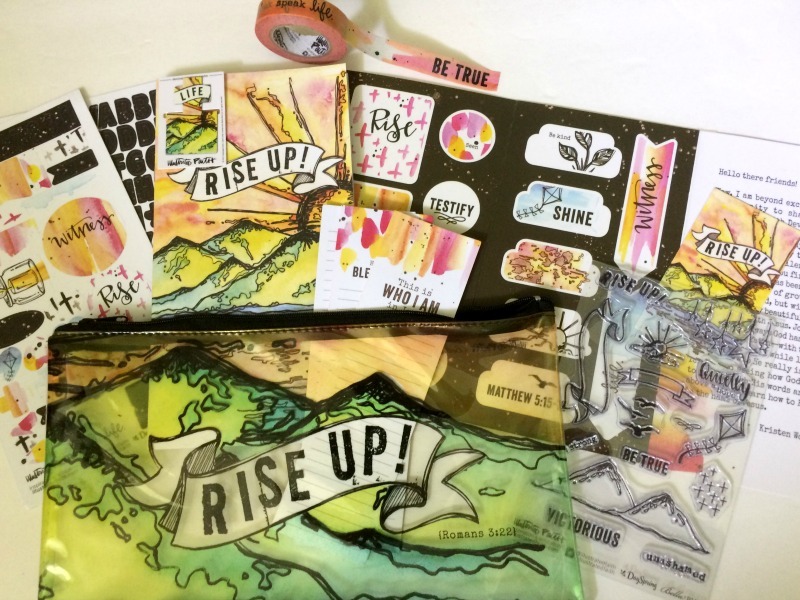 I am partnering with DaySpring to share a look at the new Illustrated Faith Rise Up kit. All thoughts and opinions are my own. This post contains affiliate links, which means I receive a small financial compensation if you make a purchase using this link. I post my Bible journaling pages weekly on social media and frequently get asked what kind of Bible I have, if the pictures are already in it, and what it is all about. 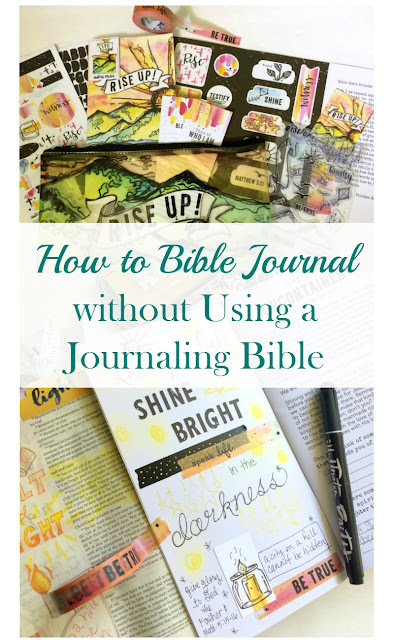 I have even hosted a couple of Bible Journaling workshops at my church and several of the ladies were concerned about not having a special Jounaling Bible. I am here to show you today that you can still be creative and illustrate God's Word without purchasing another Bible! 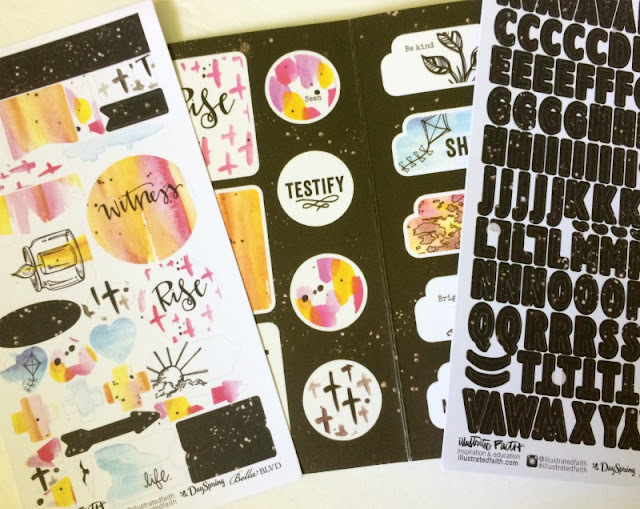 I have recently started using Bible Journaling Kits from Illustrated Faith. 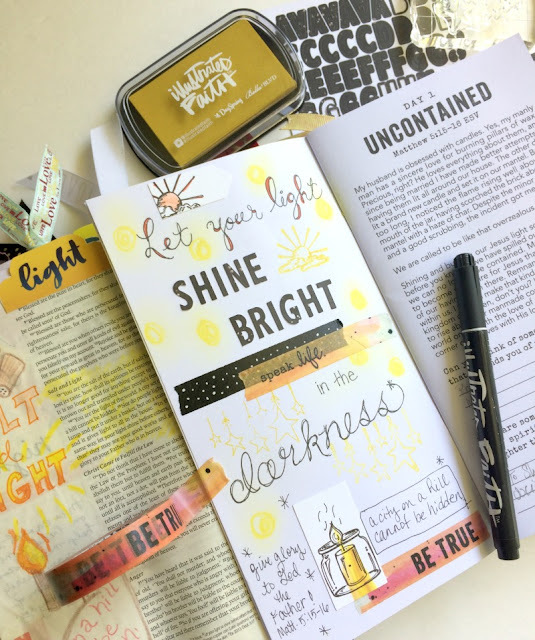 They are an all-in-one devotional and journaling supplies packaged in a convenient (and super cute!) pouch that you can take with you. Here is a look at the Doodles to Live by kit. I literally do the Happy Dance when I see the colorful envelope arrive in the mail with my new monthly kit! 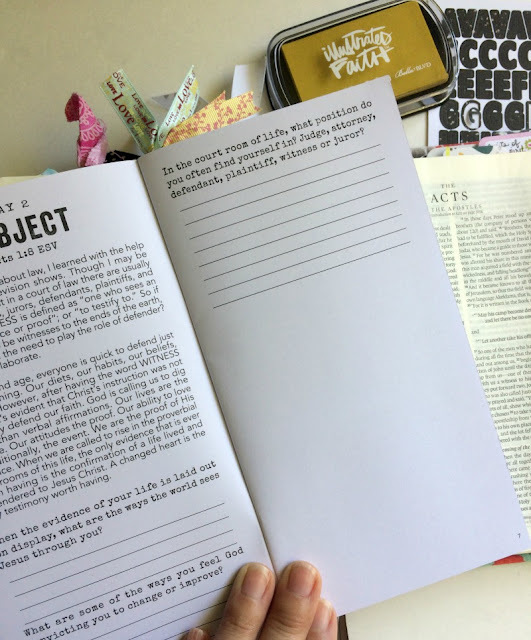 The 14-day devotional has a 2-page spread for each day, giving you plenty of room to journal the verse or passage. This month's theme is Rise Up, by Kristen Wolbach and it is about how you can have faith in the face of hardships and challenges. I hope this post inspires you to try Bible Journaling and shows you even without a Journaling Bible, you can be creative while spending time in God's Word. The devotional is also perfect for journaling in, when I have already journaled the theme verse in my Bible, like I had for Day 1. 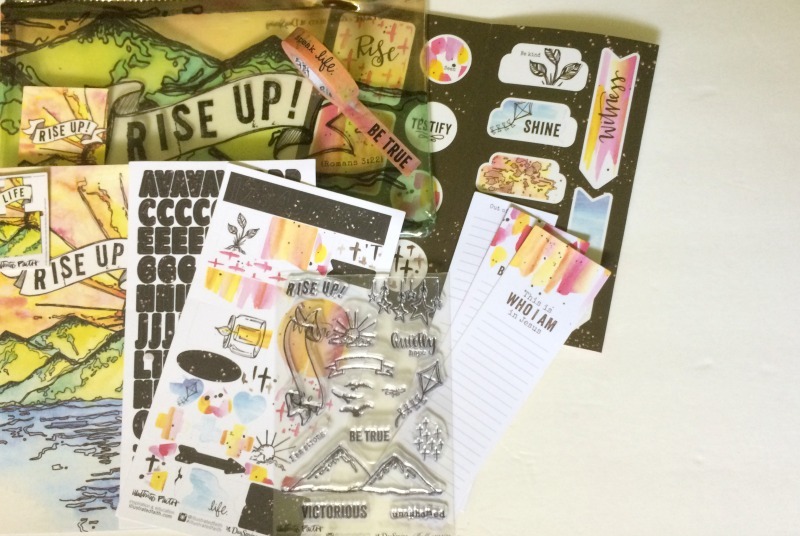 If you create any entries using this kit, make sure you post on social media with the hastags #illustratedfaith, #DaySpring, and #if_RiseUp so I can see it! I would also love it if you would follow me on Instagram for more Bible Journaling inspiration.